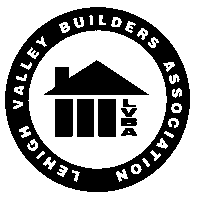 Professional associations including an A+ rating with the BBB. The National Plasterers Council (NPC) created a certification program for pool builders and service technicians to utilize the nationally renowned NPC pool start-up method. The program itself consists of a day-long course focusing primarily on chemical start-ups in plaster pools. It’s based on a method the NPC developed in conjunction with industry professionals, and scientists at the National Pool Industry Research Center at Cal Poly San Luis Obispo. NPC members have been using the recommended procedure for years. To qualify for the class, a student must be a member in good standing of an industry organization such as Association of Pool & Spa Professionals (APSP) or the Independent Pool & Spa Service Association (IPSSA). Students must then demonstrate their proficiency with a test kit, and pass a 60-minute written exam. Certified technicians must renew their certification every three years by taking an updated version of the exam. Carecraft (as well as its Members) have become somewhat synonymous in the pool industry with its motto...Network...Buy Better...Have Fun! Carecraft members learn from each other by sharing information, combine purchases to allow for better buying power, and meet regularly to help find innovate ways to improve their businesses and the industry in general. In the late 1950s, members of the swimming pool industry in the northeast section of the U.S. banded together to form Northeast Swimming Pool Association (NESPA) to address their collective needs. The organization has been continuously engaged in promoting and protecting its members and educating them and raising their levels of competency in all phases of business activity. NESPA's other "trademark" activity is the Professional Training Institute, which began as Hands-On-Training Institute in 1984. PTI offers the industry's broadest, most comprehensive training programs designed to upgrade professional skills in building, service, management and retail operations. Monogram is the only builder in the area to be selected to be part of the exclusive "Pentair Advisory Council." We assist in new product development, beta test new technologies, and advise Pentair on market trends. Monogram has received over 40+ awards for "Professional Excellence." We also subscribe to the contractor's code of ethics and have a perfect record with no complaints ever filed. The owners of Monogram are actively involved in Lehigh University, were on the Board of Directors of the Alumni Association, and have received numerous awards including the prestigious "Alumni of the year award." Monogram is a member in good standing and has perfect record with zero complaints. APSP – "The Association of Pool & Spa Professionals"
The APSP is the world's largest international trade association representing the swimming pool, spa, hot tub and recreational water industries. APSP is the leading industry advocate promoting professional best practices through education, industry standards, and safety. APSP members adhere to a code of ethics in business and technical practices and share a strong commitment to the safe, healthful, and enjoyable use of industry products. BBB – "Better Business Bureau"
Be free from any governmental action concerning the marketplace and its customers that demonstrates a significant failure of the company tosupport the principals and purposes of the BBB.